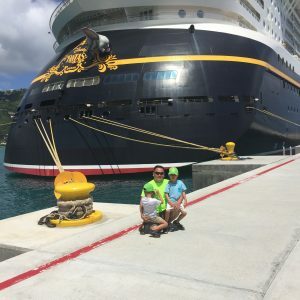 How to be a Disney Cruise Mummy Warrior, or Not! 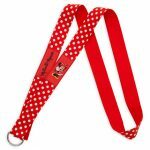 Disney Cruise Mummys are organized enough to bring lanyards, not only to display buttons and pins collected, but to keep cruise keys safe. Nothing is more irritating than , ” “MOMMA, WHERE’S MY KEY ?? ?” 1000 times a day, apart from having to buy lanyards on the ship. 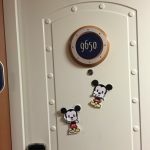 Speaking of buying disney paraphernalia, Disney cruise mummys get into the spirit of it all, shopping for and wearing Minnie ears as a point of pride, before breakfast and beyond. 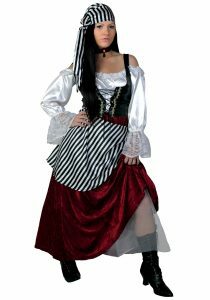 The ones with sequins are superior and confer extra special Disney Cruise Mummy love. Disney Cruise Mummys are always mummys, but they leave their mummy rules on land. They don’t mind if their kids live on fruit loops, blue juice, pizza, hotdogs, ice-cream and cookies for the duration of the trip, after all it is vacation!!! They don’t mind if the kids are totally off schedule and don’t go to bed before 10 30pm every night because there is too much to do and too much fun to be had to waste time sleeping. 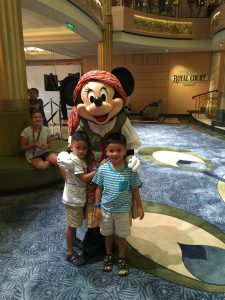 Above all, Disney Cruise Mummys know that Disney is just that, time to reconnect with their inner child, their family and embrace the magic and wonder of it all. There are so many Disney Cruise Mummy Warriors out there. I am just a foot soldier and have a lot to learn. The challenge is on ladies…. 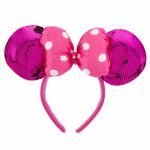 If you want a great vacation and can embrace your inner energizer bunny crafty dress up and have fun mummy selves, Disney is for you ! Previous Article← The Five Ps of flying with 5 year olds. Great fun along with insight and helpful, practical tips. As an “older Mummy”, I have walked in those shoes and am glad to see someone articulate some of the foibles as well as the perks involved in the voyage of parenting. Thanks so much June.Yes,being an older Mummy has so many advantages but not without pitfalls and pressures too … it is, as you say, a voyage !